Juvexin is a keratin, anti-aging protein blend optimized to restore hair to a youthful state, derived from pristine sheep wool, through an environmentally friendly process. Juvexin’s small molecules penetrate the cortex, repairing the hair from the inside out, while the larger molecules wrap around the cuticle layer of the hair, creating a protective shield against free radicals, such as UV rays and pollution. Ceramides are multi-functional in hair care by providing moisture and protein conditioning to achieve balance and strength, reducing the hair’s overall porosity. They also assist the pigment to flow deeply into the hair cuticle and hold the color in the hair, preventing color fading and protein loss. Ceramides improve the overall integrity of the hair by repairing the hair fiber, leaving the hair healthy and moisturized. Now, let’s get into the application process. For my client, Lauren, we were aiming to break the harsh line that she had. 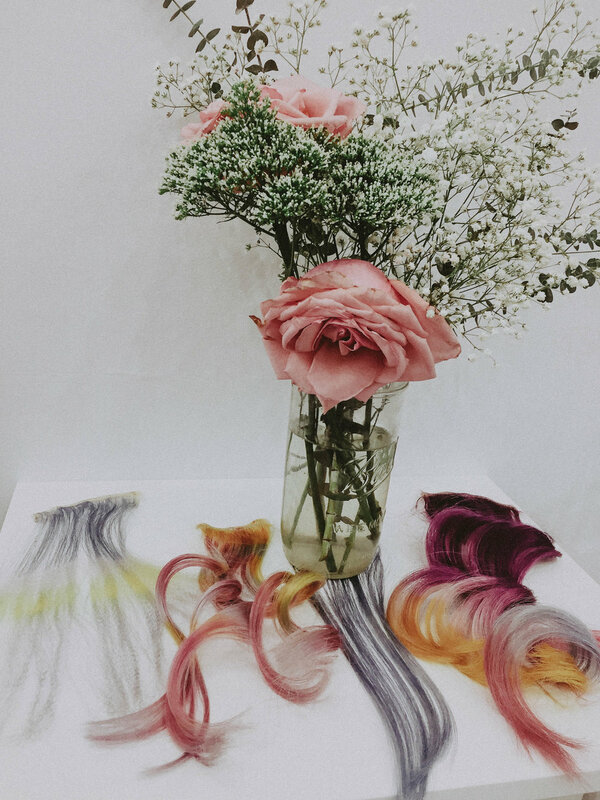 Hair history is so important when you are diving into a color service, especially when it revolves around designer colors and creating custom colors. Lauren had not had color in many months, so as you can see, her root was very grown out (about 4 inches). She used to be a platinum blonde, so the line of demarcation is very noticeable. Our goal today is corrective coloring - breaking this harsh line without stripping her all-over blonde within a reasonable timeline. I decided to go with a mohawk section of heavy babylights. I started this from the middle of the occipital and worked all the way to the front of the hairline. I also popped in some foils around each side of temple where her fringe meets. To lighten her, I utilized our Juvexin Cream Lightener and 20 volume developer. I chose the Cream Lightener because of its gentleness on the hair. Our cream lightener has argan oil and juvexin in it - lifting 6+ levels gently and without a greasy finish. After lifting to about a level 8/9, I rinsed and dried Lauren’s hair. I did not use a conditioner as we’re going to apply a toner on her base + length. To formulate our color using Juvexin Cream Color, I chose to work with our Mixtones series. Our Mixtones series offers vivid pigments to create custom colors, neutralize, and intensify. Pleased with the finished product, the harsh line has been blended, offering a look that Lauren can wear without feeling the demand to keep up roots like her old Platinum Blonde. I finished using our Leave In Cream and Serum cocktailed together (the Sweet Mix), one of my absolute favorite elixirs within GKhair’s Styling line. If you tuned into our Facebook live stream on November 12, you watched the entire transformation on our model. 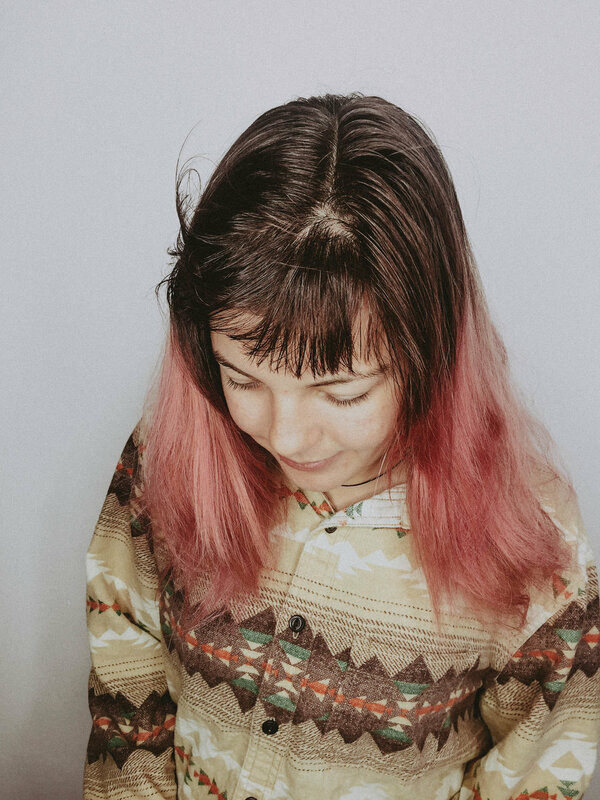 This model, Lynn, came in with all-over level 5 hair, and her hair history was previous color (she claims a violet / black). She hadn’t had her hair colored in 2+ years. My plan of action was to give her dimension and a new look. 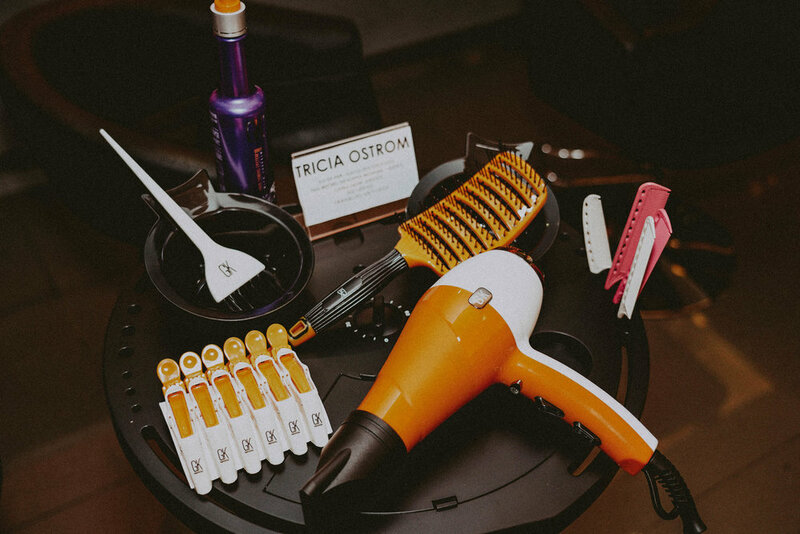 With GKhair and ManocoBlue, we offer a Mapping Balayage class that breaks down the GKhair Cream Color and Lighteners, while also giving you a technique to incorporate into your daily life behind the chair. To begin, we used this Mapping Balayage technique. I worked with our Miami Bombshell Clay Lightener and cocktailed it with our Juvexin Lightning + Lightener. I mixed the two to get an extra punch of lightening - as our Lightening + offers up to 8 levels of lift - which is unheard of! Our Miami Clay Lightener offers 6 levels of lift. This lightener is clay-based and foils are not necessary. The clay hardens on the outside and incubates and lifts the inside, creating a seamless balayage. I also bumped my developer up to 30 Volume as we are not using foils, and I want to make sure that I get the lift i want. 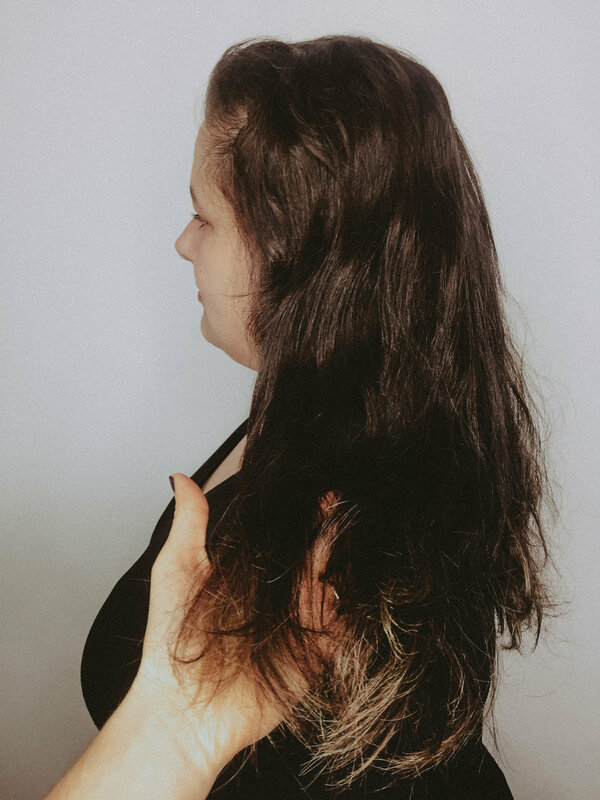 Always keep in mind that a breeze through the salon or change in temperature could shift the lifting when the hair is not in a foil; that is why I bump my developer up a level. After processing for about 30 minutes, we rinsed our model and shampooed using the Silver Bombshell shampoo. Our Silver bombshell is going to be a blue-violet pigment shampoo that offers ultimate toning for blondes. I wasn't expecting to get her completely neutralized, just to soften the lightening. We then were ready to apply our autumnal designer color. The new masques offer 10+ washes of pigmented hair. We offer Red Red, Lavender, and our Ultra Blonde Masques. These are all treated like a deep conditioning treatment, with the added pigments. Keep in mind the Red Red will have the most pigment, and the Lavender (violet) and the Ultra Blonde will be more sheer. Something to remember is that porosity and integrity of the hair will always determine the longevity of this service. To finish our model I wanted to utilize the Juvexin Coloring Sealing. 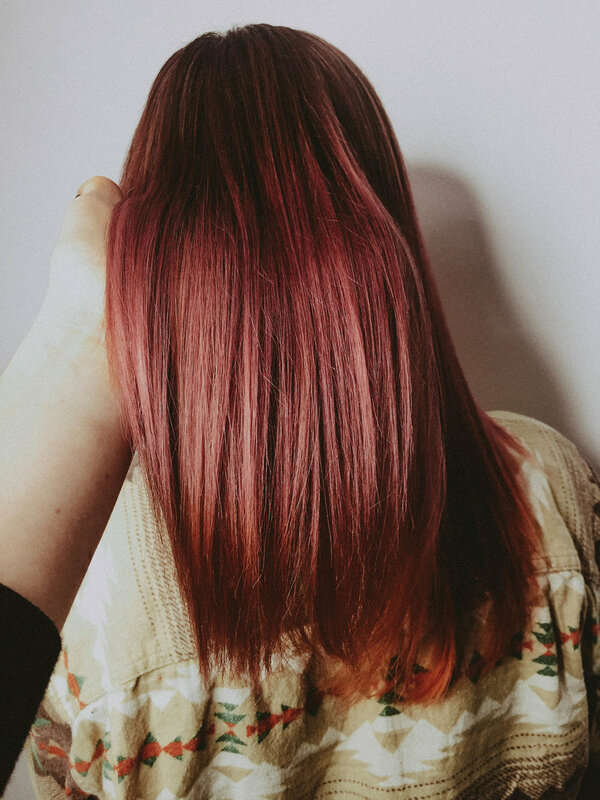 This is a post-color (or stand-alone) treatment that will extend the life of your color and offer the benefits of our smoothing treatment, lasting up to 2 months, adding shine, sealing, and smoothing. Pleased with how our Dimensional Autumn blend turned out? Check out GKhair on Instagram and well as ManocoBlue - we are always sharing formulas and color inspo!